At 200 miles in length, the Chesapeake Bay is the United States’ largest estuary, offering 11,000+ miles of explorable shoreline. A fantastic sailing destination, yachters enjoy well-protected waters, strong, accessible anchorages, vibrant historical towns, and amazing natural scenery. 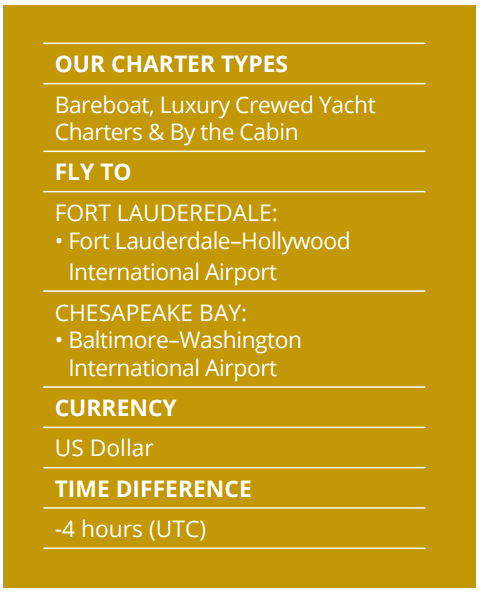 The bay, bordered by the states of Maryland and Virginia, is suitable for both sailing novices and seasoned experts. 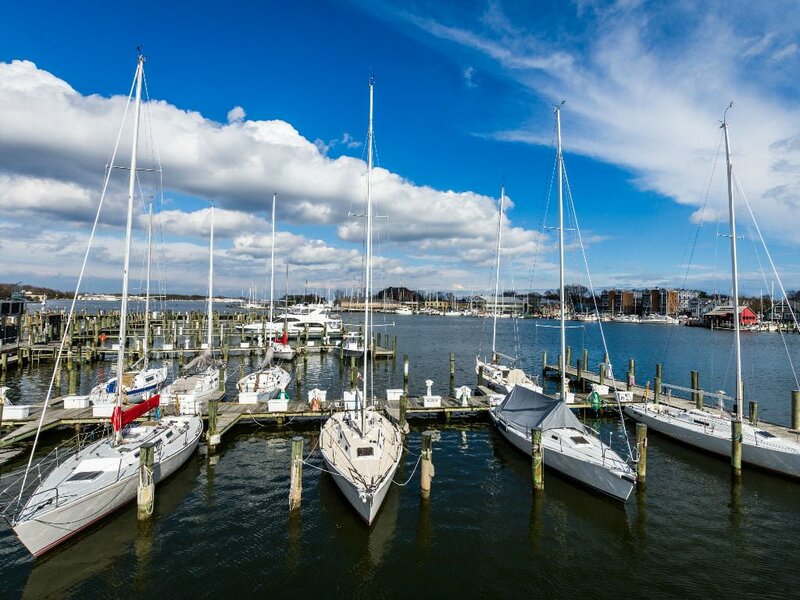 Your Chesapeake Bay sailing holiday will start out at out Dream Yacht Charter’s base at Port Annapolis Marina. 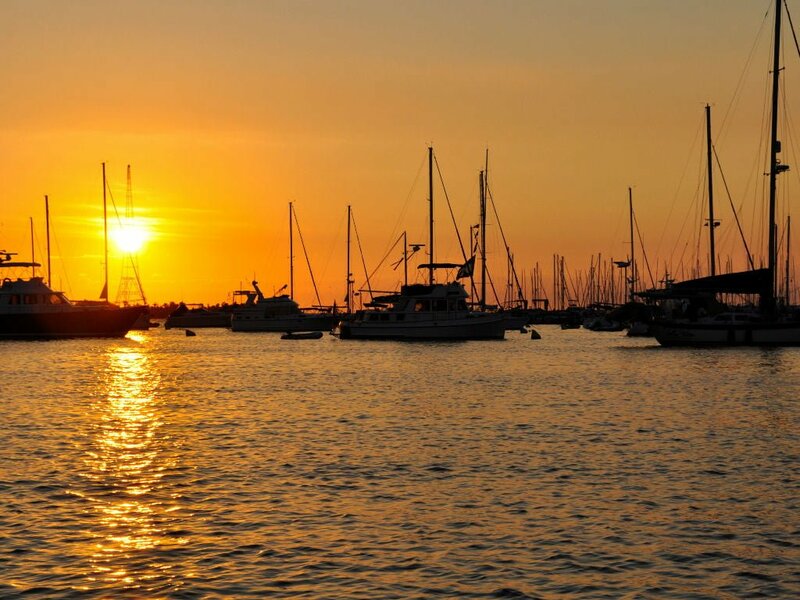 Maryland’s capital city of Annapolis is a wonderful first stop on your Chesapeake Bay journey, and you should be sure to enjoy what the city has to offer before setting sail. Old Annapolis has a vibrant historic district filled with shops and restaurants, right on the waterfront. The downtown area is quite walkable, and you can enjoy historic architecture and a pleasant atmosphere. After a pleasant stroll, grab a bite to eat at one of the many different restaurants in the area. Local Maryland crab cakes or another delicious seafood option are always a top choice for an excellent meal. For more political history, pop over to the Maryland State House, the oldest state capitol that is still in current use. This unique building is capped by a wooden dome–the biggest in the US. Chesapeake Bay today is a mecca for sailors and fisherman. With glorious landscape and exciting oceans, as well as many wonderful coves, creeks, towns, rivers, and historical landmarks to visit, you won’t know where to dock your chartered yacht next. When you arrive to take your voyage with Dream Yacht Charter, our local experts will be happy to provide you with recommendations and to assist you in building an itinerary and planning your route for a memorable and special sailing holiday. Dream Yacht Charter Annapolis is proud to be an official NauticEd flagship sailing school. Whether you’re getting ready for your bareboat yacht charter, improving your advanced sailing skills, or are embarking on basic sailing instruction, our team will be thrilled to have you ‘on board.’ NauticEd is the world’s premier sailing education and sailing certification system, using the blended training of online coursework with real work sailing experience. Head on over to NauticEd to check out our free online sailing courses. 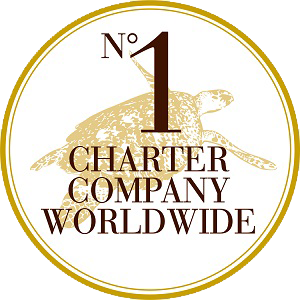 Get Certified FastIn partnership with Yachting Education, Annapolis Bay Charters has designed a swift, effective method to gain hands on experience with certified sailing instructors. This equips you with the skills and freedom to charter a yacht anywhere in the world.